There are a few things that make a fresh strawberry even better: picking them yourself… and chocolate! Add sour cream and buttermilk – and voila! 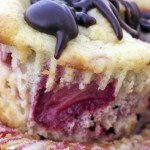 Some of the fluffiest and moistest muffins we have ever had. They are pure decadence, and have a major WOW factor. With strawberry season coming to a close around here, we are sure to be making more of these Chocolate Strawberry Muffins really soon. Looking for other ideas to use up some of those fresh strawberries you picked this season? 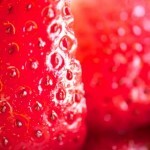 Try our quick and easy Strawberry Cake, or some unique and delicious Strawberry Balsamic Preserves with Black Pepper. You can also just have them play a supporting role in one of our favorite recipes… Waffle Cupcakes! Preheat the oven to 425°F and prepare your muffin tin with liners or spray with nonstick cooking spray. Set aside. Melt your 4 tbsp of unsalted butter and set aside to cool. In a separate bowl, whisk the egg until light in color. Add the sugar and vanilla extract and stir until the mixture is thick. Add the melted butter in 2 or 3 additions, whisking slowly to combine after each addition. Add the sour cream and buttermilk and whisk until just combined. To the dry ingredients add the strawberries and chocolate. Add the wet ingredients to the dry ingredients. Stir until the batter comes together, but try not to over mix. Fill the prepared muffin tins all the way to the top. Bake at 425°F for 5 minutes. 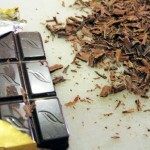 Reduce oven temperature to 350°F and continue to bake for 20-22 more minutes. 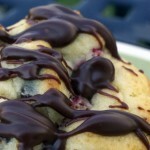 While the muffins are cooling, prepare the chocolate drizzle by melting the chocolate chips and butter. 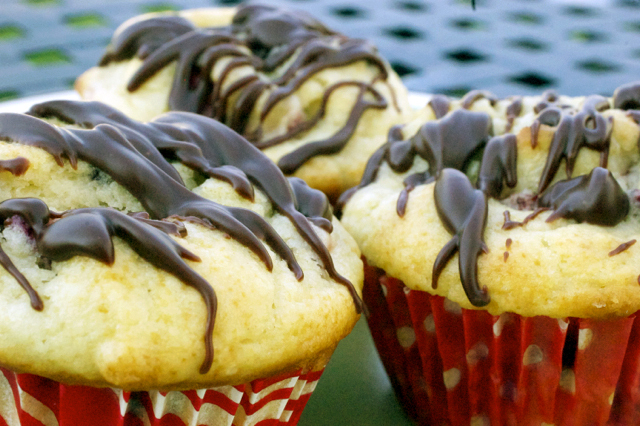 Drizzle chocolate over cooled muffins. Makes 12-14 muffins. Muffins remain fresh up to 4 days, covered, at room temperature.